For those not aware of Essex local, Nick Brewer, he’s a relatively new rapper within the UK scene that combines his spoken-word background with new school rap. His style is quite laid back and relaxed, but his work rate and style are still just as passionate as any other MC out there. If you’re a fan of The Ruby Kid, P.O.S or Dessa than you might be into this guy. Check out our interview, and learn a little bit more about the man himself. Thanks once again to Nick, and Jenna for hooking this up for us. 1) Generic question out the way, who are you? 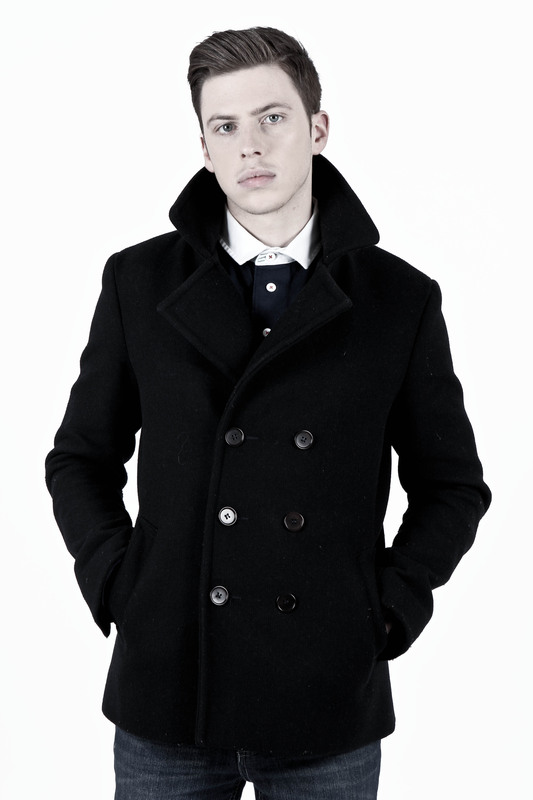 My name is Nick Brewer. I’m a 23 year old rapper from Ilford, Essex. 3) What originally got you into hippity hoppity? My dad got me into it. He used to buy me CD singles every so often if I behaved myself. When I was about 9 he bought me Puff Daddy – I’ll be missing you. I was hooked from then. 5) Leading on nicely to the next question, as a whole what subjects and people influence you as a performer and writer? There’s so many artists that influence me: George Benson, Kanye West, James Blake, Kendrick Lamar and Joel Baker just to name a few. I love listening to a wide range of music in the hope that it comes across in the music I wrote. I saw Mumford and Sons perform at the O2 arena last year, and they opened my eyes to how engaging a good musical performance can be, and I’m striving to be able to engage an audience in the same way. In terms of subjects; family, friends, love, heartbreak, the things I see going on around me, they’re some of the things I like to write about. 6) To someone that doesn’t know your music, how would you describe your sound? Someone described me as a ‘soulful rapper’. I like that! I try to make music where the lyrics have meaning, and the music is easy to listen to. I try and incorporate a lot of live instruments, while keeping that Hip-Hop feel. 7) Outside of music, you’re a Youth Worker, do you ever try to use your hip-hop background to help the kids you’re working with? Yeah definitely. The majority of young people I work with love Hip Hop, and look up to a lot of the rappers they listen to. At work I help run a studio, and we do writing and recording sessions with the young people we work with. 8) Is Youth Work something you want to carry on with even if you become as rich as Jay-Z? Haha, yeah definitely! I love making music, but my other main passion is seeing young people develop into who they are truly meant to be, and I hope to always be involved with working with young people in some form. 9) I have to be honest, I don’t know much about the Essex scene, what’s it like where you’re from? Haha erm, well if you’ve ever seen ‘The Only Way Is Essex‘ you’ll probably think it’s all spray tans and baby blue bentleys! It’s not quite like that for me, but Essex is cool, it’s not too far from London and there’s some really nice parts. 10) What are you plans for the next year? I’m planning on releasing my new EP which is called ‘Flat Ten‘ and just building from there. Expect a lot of music from me this year. I’ve got a few performances coming up, so if anyone wants to come down to support that would be great! 3rd March – Something 4 Sunday, Light Bar. 7th March – Not Another, Queen of Hoxton. 18th March – I Luv Live, XOYO. Official video for the single and bonus track “Still Tryna Make It” from K.ris R.aps’ “The Dope Compilation Mixtape Vol. 2” project! Out now from…..
Commission Empire Records Presents…. 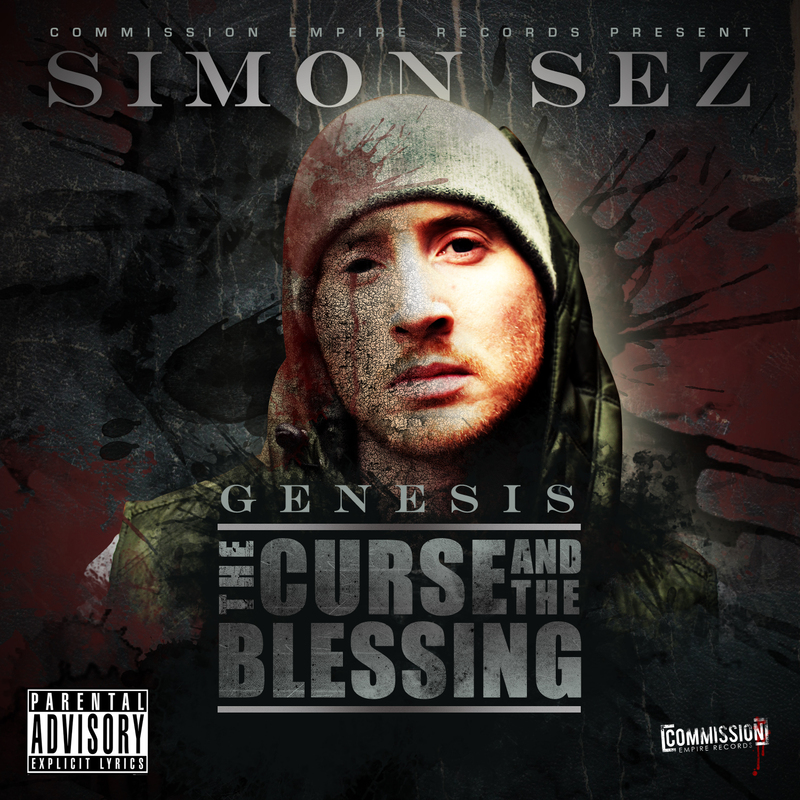 Genesis – The Curse and the Blessing by enter the commission member Simon-Sez who has been putting the mixtape together for the last year and is the first solo project by the Liverpudlian artist and now finally ready to release to the public. Genesis is categorised into 2 Parts: The Curse and The Blessing. Part 1 is the entitled ‘’The Curse’’, which delves into the many obstacles Simon Sez, encounters as he pursues his music career. Part 2 is entitled ‘’The Blessing’’ and is an emphasis on being free to do whatever he wants with the music. It is also a celebration of the musical gift he was blessed with. Inverse Tangent from Fairfax, Virginia, have just released a new video entitled Entrapment. It is basically a track relating to poverty, injustice and the recent troubles and issues with the U.S. Government. If you like this freestyle check him out at Supa Dupa Fly at the Jazz Cafe London on March 8th. Having gained support from Radio 1 and 1Xtra off the back of a BBC Introducing campaign, talented Thetford artist Franko Fraize hopes to continue the momentum and have a great 2013. 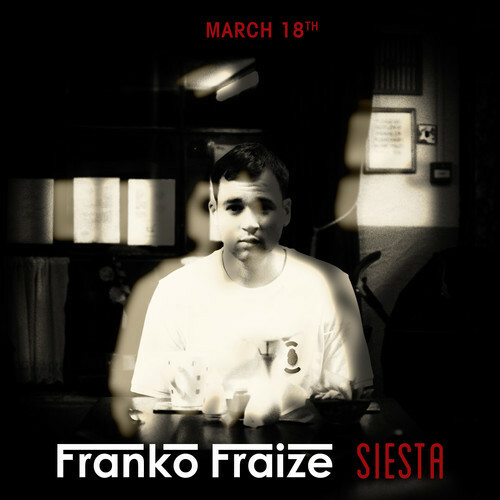 Siesta is taken from Franko’s forthcoming album Work Ethic – set to be released in Spring 2013. Self-produced by Franko Fraize, Siesta’s haunting piano melody – combined with a heavy acoustic bass rumble – sets the backdrop for an emotional and heartfelt tale. Be on the look out for a video to accompany the single dropping on Monday. Keep it locked to HHL&T you can be sure we’ll be repping that!